Address: 119991, Moscow, Moscow State University, Shuvalovsky building, Lomonosovskiy prospect, 27/4, room A-701. "Университет" ("Universitet") metro station, exit closer to the end of the train coming from the city center. 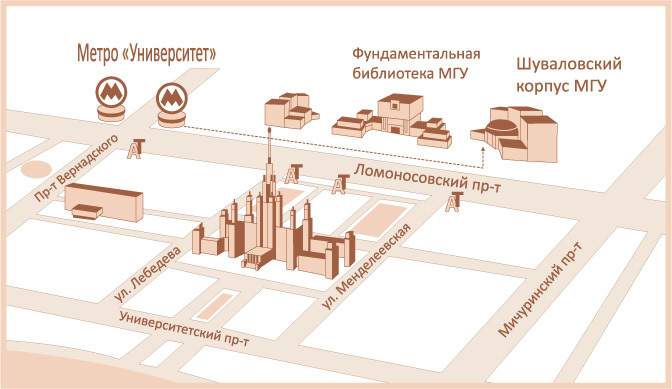 Then take buses number 103, 130, 187 or a trolleybus 34 to the stop "Менделеевская улица" (“Mendeleevskaya street”).